This is a fully man-made lake to function as a cooling system for the city. The breeze cools down passing over the lake and creates a pleasant temperature. Another value of the lake is to transform this administrative center to a lovely city that offers water sport, lake cruise and beautiful view to balance the hectic life of the officials. Tried this with family on Federal Territory Day. Got 50% discount on this special day hence our fare was only RM40 (2 adults and 1 child). There are 2 types of boat ie the Dondang Sayang or Cruise Boat. We tried the latter. Overall very good experience, staff were friendly and helpful, boat was big and comfortable… We really enjoyed ourselves! Will definitely recommend to others. Thumbs up!!! A ship cruising gently in the Putrajaya lake. The mosque is well located and caters well for the many hundreds of tourist that come to see its beautiful architecture and surrounds. Well designed and caters for a huge congregation. The keepers of the mosque are well trained and acknowledge tourist. The Friday prayers was quite fulfilling and indeed a sight to see so many people in one sitting with exceptional order. I saw this pink mosque when I went to Putrajaya. 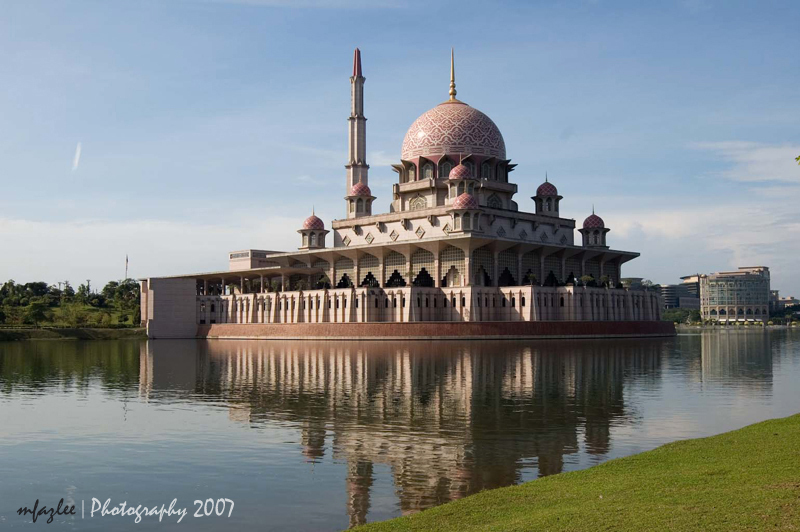 The mosque looked elegant with the the beautiful putrjaya lake and you can see a stunning view in the evening. There is a very spacious ground in front of the main gate. I guess this is a must see if you are in Putrajaya. There is a Putrajaya city tour bus for 1 RM! operated by the Malaysian government. Really worth the tour with an English speaking guide. The pink mosque in Putrajaya. 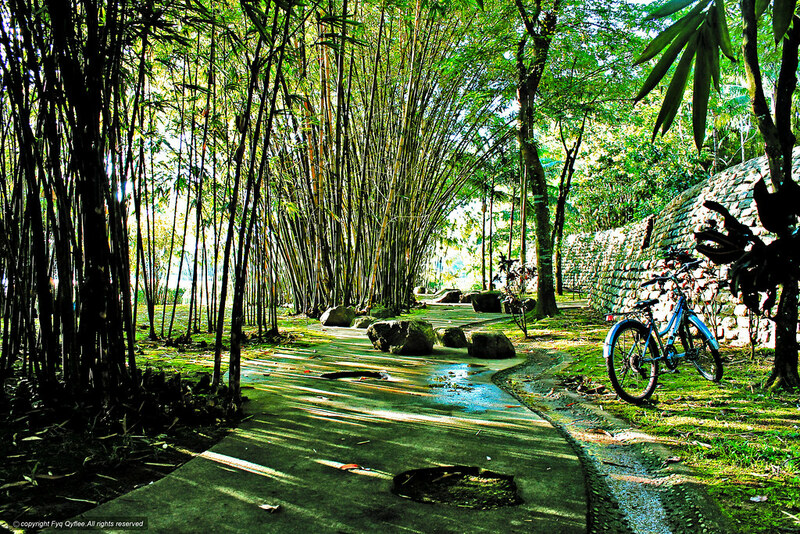 Putrajaya Botanical Garden or widely known as Taman Botani Putrajaya by the locals is something not to be missed if you are around Kuala Lumpur. Been there for the first time today and I just fell in love with this place. It’s clean, well maintained, beautifully decorated, serene and most importantly, it’s so green! Highly recommended for afternoon stroll with kids, jogging, sight seeing or picnic even better. Bicycles are available for rent, including baby carrier that is attached to the bikes. Nice place to hang out. 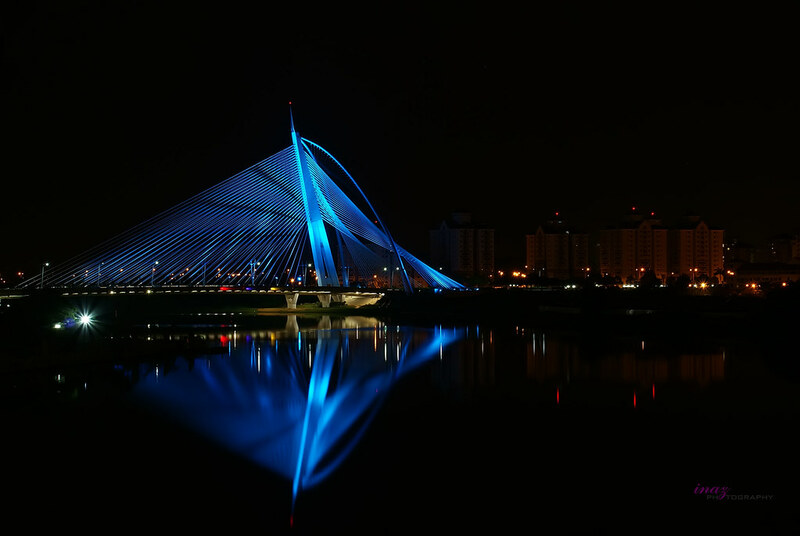 With the different coloured lightings, the bridge changes its colour beautifully. You can just sit and soak in the atmosphere. The magnanimous bridge can be viewed from quite a distance. One can stop over beside the bridge and take some good photos. It can also be viewed from the Putrajaya Mosques terrace. The best view is from the cruise which I suggest everyone should take once. Putrajaya was founded in 1995 as the new federal administrative capital of Malaysia. Putrajaya is located in the heart of the Mulimedia Super Corridor (MSC), an area designed not only to attract high-tech companies to come to Malaysia for investment, but also with plenty of greenery in mind. 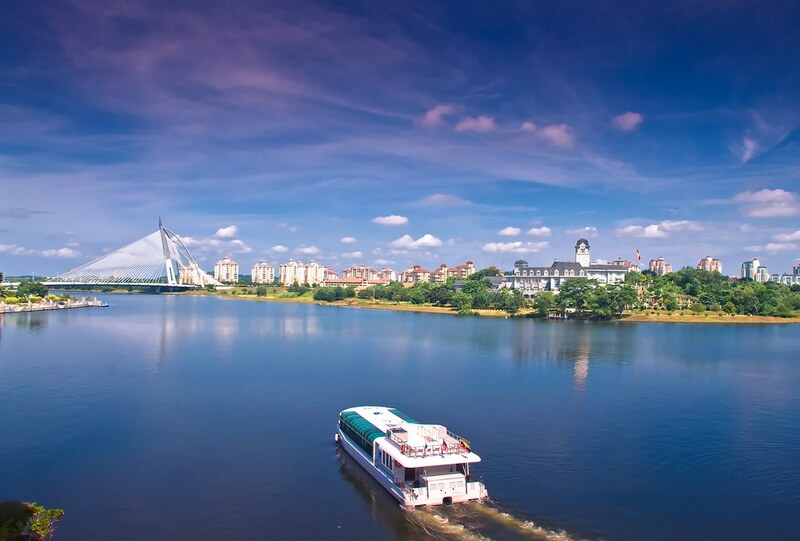 Therefore, Putrajaya is regarded as one of the modern cities in Malaysia that is well-planned in addition to being considered as an intelligent garden city. As a result, Putrajaya is sophisticated, well-developed and the most livable cities in Kuala Lumpur. Traffic congestion is hardly heard of in Putrajaya. 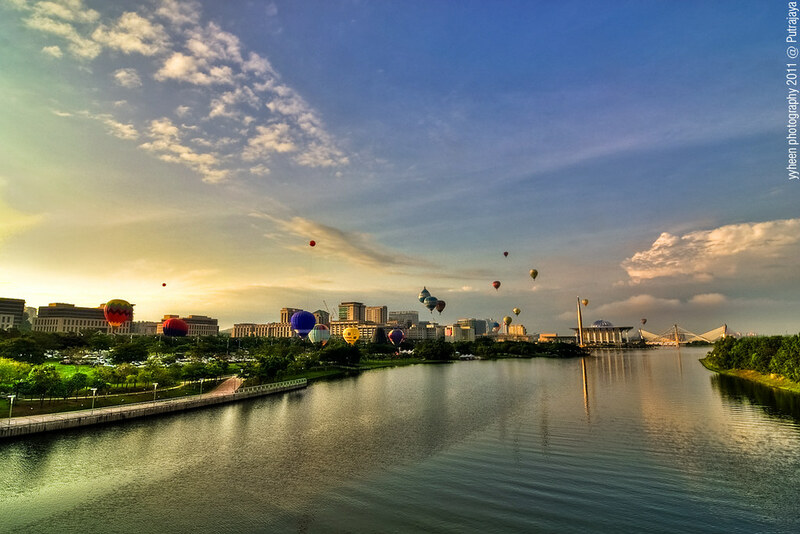 Putrajaya is built on cleared forest land and centered around a huge artificial lake. The city is designed to create a sense of vastness and with so much water around, great attention has been paid to building massive bridges. These include the Putra Bridge, inspired by the Khaju Bridge in Iran, and the 787-ft (240m) long Seri Gemilang Bridge. With so much water in terms of artificial lakes around Putrajaya, it offers not only a sense of tranquility but also an excellent venue for photography enthusiasts. In fact, Putrajaya has the honor of being called the most photographed city in Malaysia. Wedding and portrait photography is especially popular here in addition to landscape photography which captures the beauty as well as the unique architecture of buildings in Putrajaya. Tourism is big time in Putrajaya. With the many impressive buildings, lakes, bridges and greenery around in Putrajaya, tourists from all around the country are flocking here to get a glimpse of this magnificent city. Government departments and ministries began moving here from Kuala Lumpur in 1999. These include the Prime Minister’s office, known as Perdana Putra, built in a flamboyant Malay-Palladian style, and the equally grand Palace of Justice, topped with a gigantic dome. The Putra Mosque with its 380-ft (116-m) high minaret looms over one edge of the lake and is one of the city’s most impressive buildings, blending architectural styles from Iraq, Iran, and Morocco. Other sights worth exploring include the Botanic Garden with its collection of tropical flora, and the Putrajaya Wetlands, which were constructed to help cleanse river water. Paddle-boats can be hired for trips on the wetlands and lake. Lying on the outskirt of Putrajaya is its twin town, Cyberjaya. Conceived as a center for high-tech companies, it has been under construction for over ten years. Needless to say, if you are traveling in Malaysia, Putrajaya is definitely a tourist destination that should be in your vacation itinerary. Sultan Salahuddin Abdul Aziz Shah Mosque (Blue Mosque) – The Sultan Salahuddin Abdul Aziz Shah Mosque is the state mosque of Selangor. It is the country’s biggest mosque and also the second biggest mosque in Southeast Asia. It’s nicknamed as ‘Blue Mosque‘ for its blue aluminum dome covered in a rosette of verses from the Qur’an.